Granny Mae, my maternal grandmother, gave me this piece of fabric in 1980. It was originally a pillow. It is a 100% cotton and the fabric is a hand-registrated silk-screen. 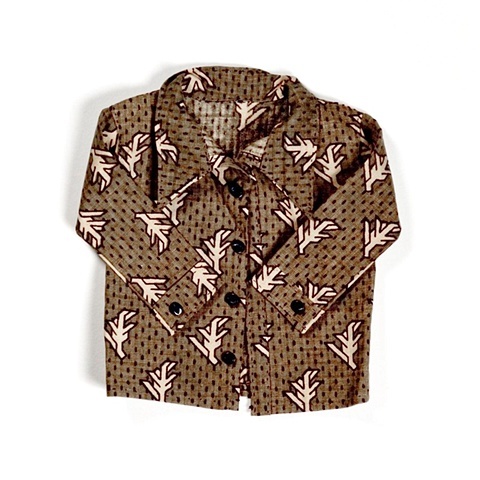 The example I created from the fabric would be considered a formal women’s jacket .